shellys sewing shrapnel: happy birthday! It was time to pull out the birthday banner again, I love this banner and the idea of it. 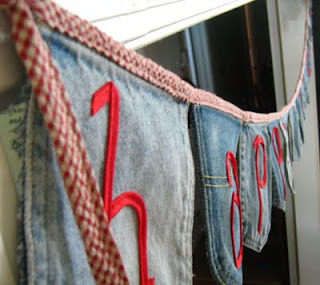 This banner is made up of old jean pockets from the whole family, I then wrote on the pockets with a paint pen, I did not like the look, so I sewed on some binding over the marking and think that was a better match for the denim. 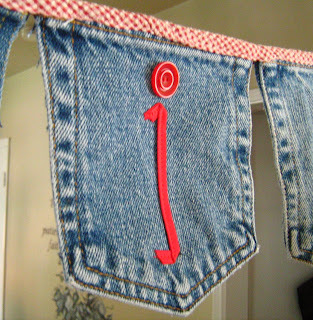 My friend who was making theese with me used the paint pen and they turned out great, it was just a difference of fabric. Give these a try they are fun and easy.